Richard Kane passed away on October 1, 2010. He was a very dear friend, a friendship that was based on a common purpose of making Canadian Mathematics a major player on the international scene. His distinguished research career, his incredible dedication to the community over the last 25 years and his unique and defining role in its emergence over the last 15 years, makes our loss too difficult to bear. Many of us relied on his strong serene integrity, all the way till the last days of his life. I spoke regularly with him on the phone since he was diagnosed with cancer in January 2010, and I was utterly overwhelmed and humbled by the serenity and dignity with which he faced his last challenge. I later learned that he was the one who nominated me for the David Borwein Distinguished Career Award, and that he was planning to come to Vancouver for the ceremony in December 2010. A trip that he will not make, and an event that will prove difficult to celebrate without his gentle presence. Richard was the very first recipient of the David Borwein Distinguished Career Award in 2006, and in my opinion, there is no Canadian mathematician more worthy of this award. 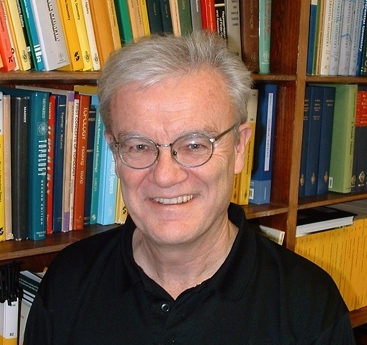 It is a fact that our community has been blessed with a healthy number of mathematicians who have shown over the years a great deal of commitment and dedication to the development of our discipline, but Richard Kane holds a very special place in this elite group to whom we owe so much. This is because what Richard accomplished and did for the rest of us couldn’t have been done by anyone else. More often than not, our community called upon him to lead and to serve because he was simply the only one that could. It is hard to find someone whose role was as indispensable as Richard’s for the unity of our community over the years. The tasks were always ultra-sensitive and extremely delicate, but he never shied away when called upon. It is for the generosity of his spirit, for his great sense of loyalty to his community and for his unique contributions that we feel so acutely this enormous loss. I first met Richard in 1990 while he was chairing the CMS Research committee striving to honour the best talent of Canadian mathematics, while at the same time chairing the Synge committee working hard to get more of them elected into the Royal Society of Canada. He had of course done his share chairing the math GSC at NSERC, chaired the math department at Western and was on his way to be the President of the CMS. Now many Canadian mathematicians did their share of this type of service for the community but there was to be only one person who could do what Richard did over the decade that followed. It was a period of unprecedented growth and successes, but the potential for divisiveness and chaos was great. It is during that period that Richard’s contributions were the most defining and unique. The international review of Canadian Mathematics (1995): Right after the first re-allocation exercise in 1994 when Mathematics suffered a humiliating last place among NSERC’s supported disciplines, a liaison committee was struck to deal with the challenges of getting our community out of the situation. Ensuing discussions with NSERC led to the initiation of a comprehensive review of the state of Canadian Mathematics. The international committee was to have one Canadian resource to lead it through the various complexities of the Canadian landscape while handling the thorny issues created by NSERC’s allocations report. I still remember vividly the exclamation of Steve Halperin: “there is only one person in Canada who can do this. It is Richard Kane”. The problem with Richard (or is it with Canada?) that he got stuck over and over again being the only person capable of “doing the delicate missions” for the rest of us, and there were many to follow. His integrity, even-handedness and strong sense of fair play always made him the consensus candidate to any position requiring national leadership. He always obliged. The second NSERC re-allocation exercise (1998): Soon after, our community was faced with the challenge of participating in the second re-allocation exercise. It was a distinctly sensitive moment in our community’s history: How to recoup from the losses incurred in the first one? How to secure the funding for the two older institutes (Fields and CRM) while trying to make the case to fund a nascent one: PIMS? Regional interests were at a feverish pitch and the unknowns were threatening the unity of the community: Are we splitting a small pie in a zero-sum game, or will we be showcasing a dynamic community riding a great vision? Only Richard could lead the community to make its case, diligently, conscientiously and with his legendary fairness. The third re-allocation exercise (2002): Successes followed and success often needs to be managed as delicately and seriously as failure, and who else but Richard Kane could lead us through the third re-allocation exercise in 2002. Here again, his methodical and steady hand was a key factor and our community (GSCs, institutes and statisticians included) was the big winner among twenty competing disciplines. Not an easy feat. “The mathematical sciences community is now poised to build on its current achievements by making significant new contributions to the growing needs of Canadian society with respect to the mathematical sciences, an enhanced role, both nationally and internationally, for the Canadian mathematical sciences should be a major priority for governments, granting agencies and universities in Canada”. This was a glimpse of a forward looking document that I –as a junior partner– co-authored with Richard, a call for a new era for our community where we can all move forward together with new ideas and with a renewed sense of purpose. It was vintage Richard. He put his heart and soul in it, knowing very well the importance of the moment. The latest NSERC-Mathematics interactions: Though clearly identified by the BIRS retreat— the new challenges to our community did not wait long to surface. NSERC is now restructuring and the resulting impact on our GSCs and institutes could be cataclysmic. It is time again to regroup and to coordinate our community’s vision with NSERC’s de-facto more bureaucratic approach. Richard is not around anymore to lead us out of another situation where conflicting interests, albeit institutional, regional or personal, can reverse all the gains of the last decade. But his spirit will hopefully prevail. I shall miss the calm and stabilizing hand of Richard Kane. His exemplary life will always serve as my moral compass. My deepest condolences to his wife Jo anne, his son Michael, his daughter Jennifer, his sister Margaret, but also to the hundreds of his friends, colleagues and students. This entry was posted in Honouring friends and tagged Mathematics, NSERC, Richard Kane, Steve Halperin. Bookmark the permalink. Thank you for this beautiful text honoring Richard’s memory. Merci pour cet eloge si emouvant de notre ami Richard. He was such a gentleman, a real prince. “Exemplary”, as you said it so well. He will be deeply missed. Richard Kane was highly regarded, and will be deeply missed, in all corners of our Canadian community. Thank you Nassif for the beautiful tribute to our friend.